Here we have an example of a roof that has been foamed from inside the loft space in an attempt to stop the tiles from slipping out. 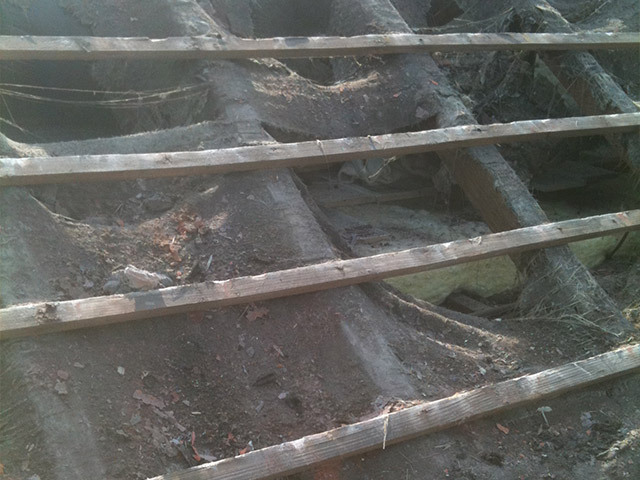 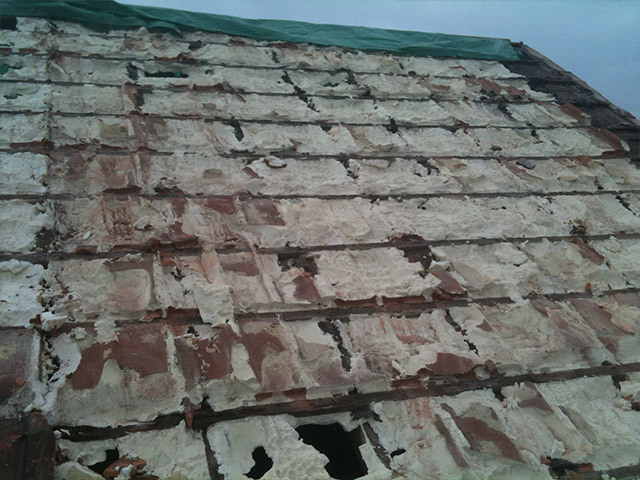 It increased the work hours on the stripping of the roof by double as each tile had to be smashed off and the foam cut away from the rafters. 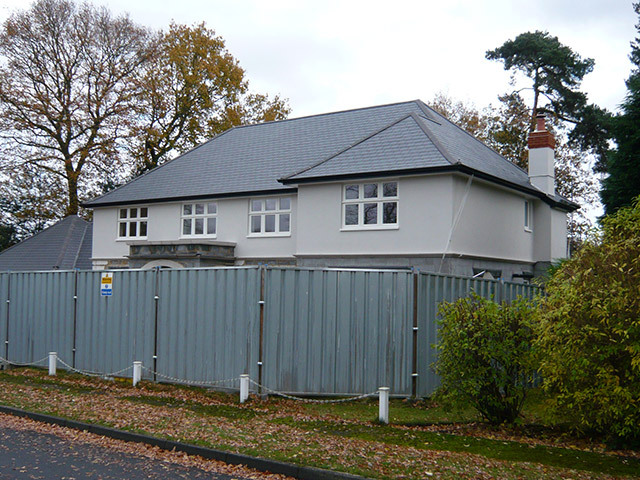 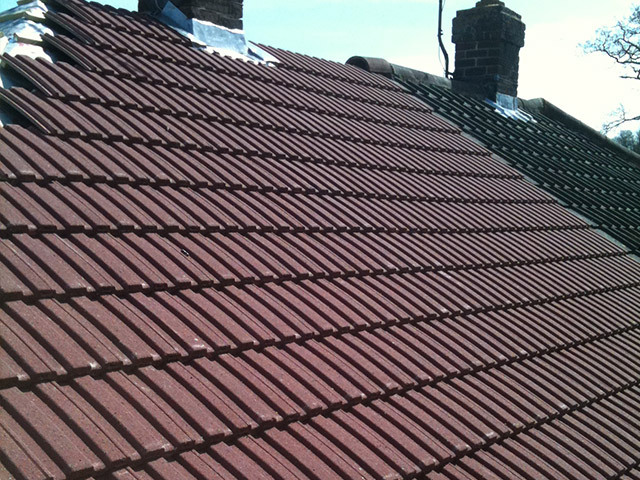 The client chose Redland double roman concrete tiles; we also installed a velux window. 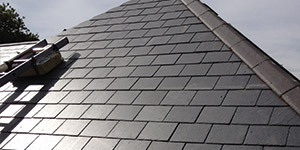 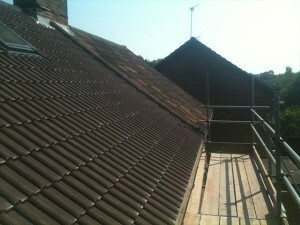 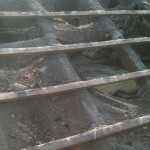 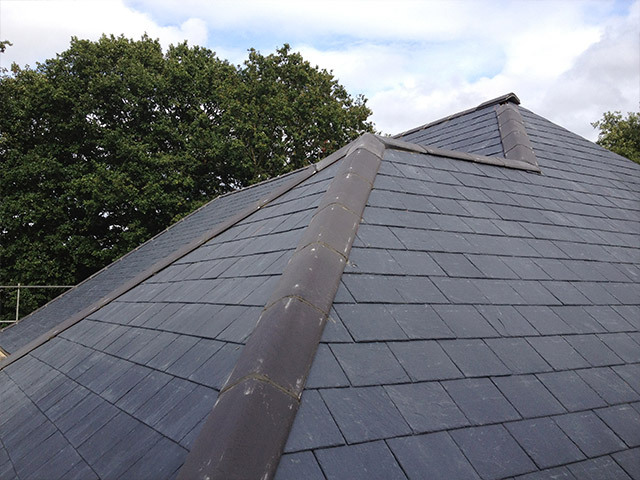 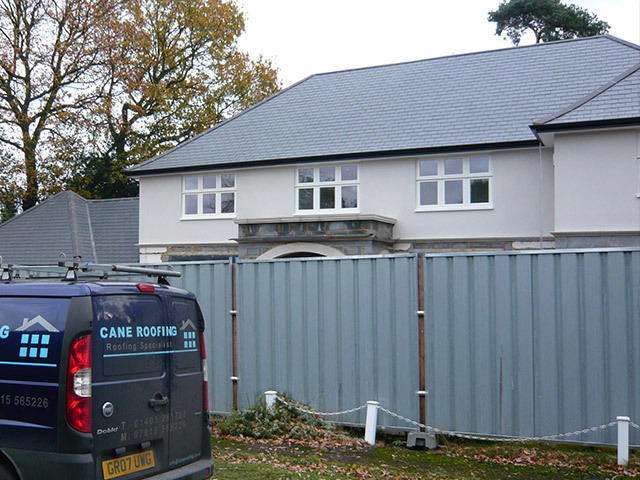 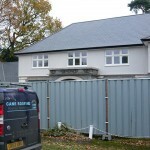 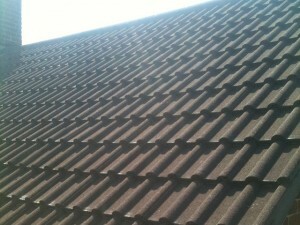 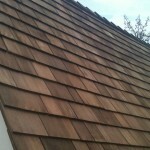 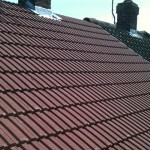 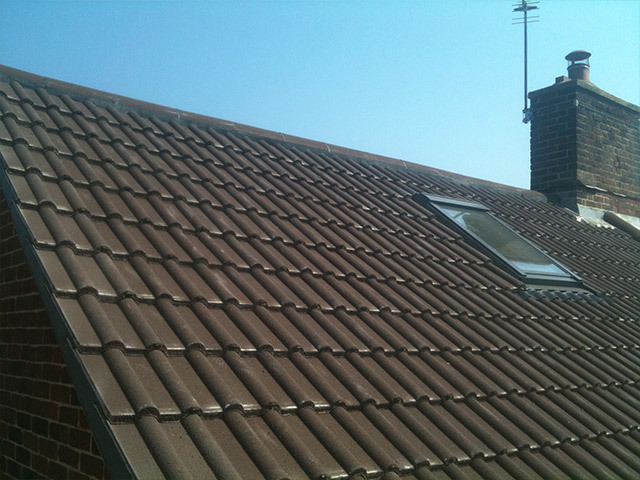 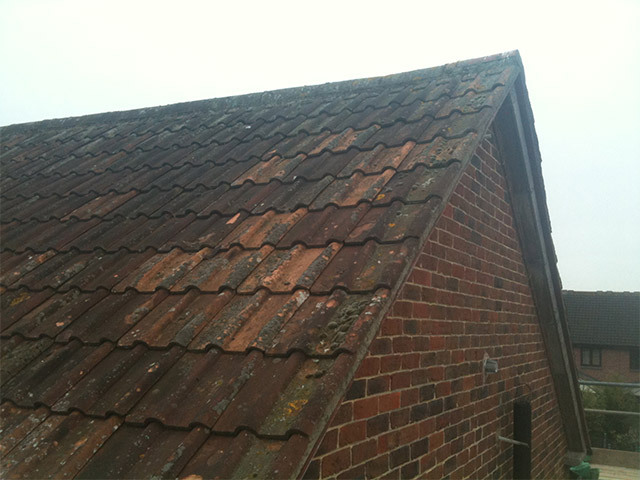 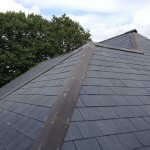 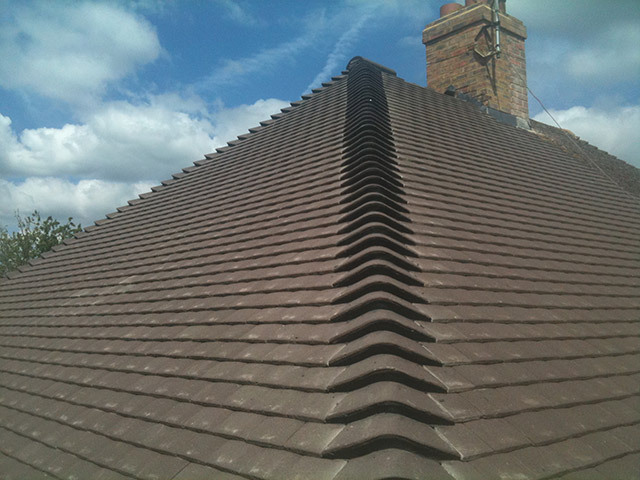 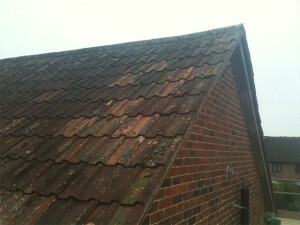 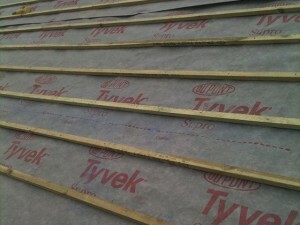 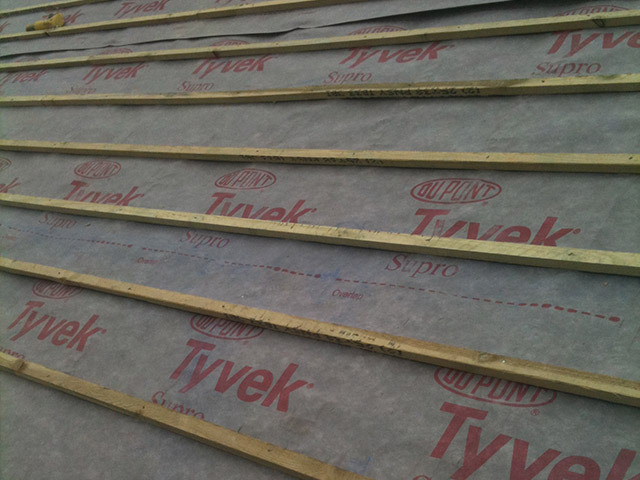 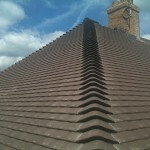 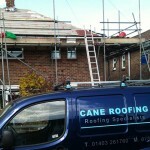 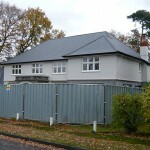 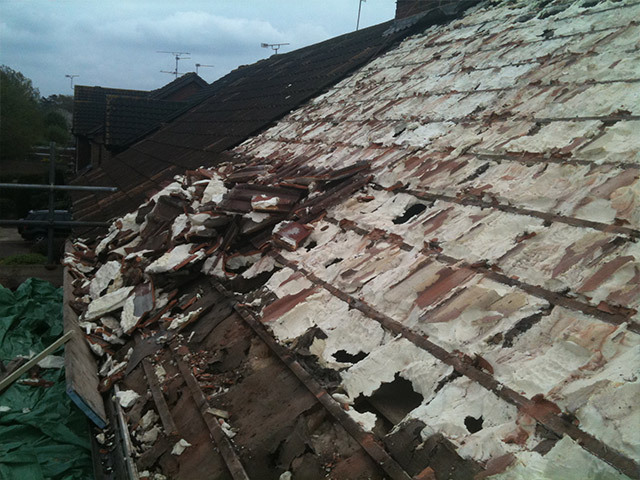 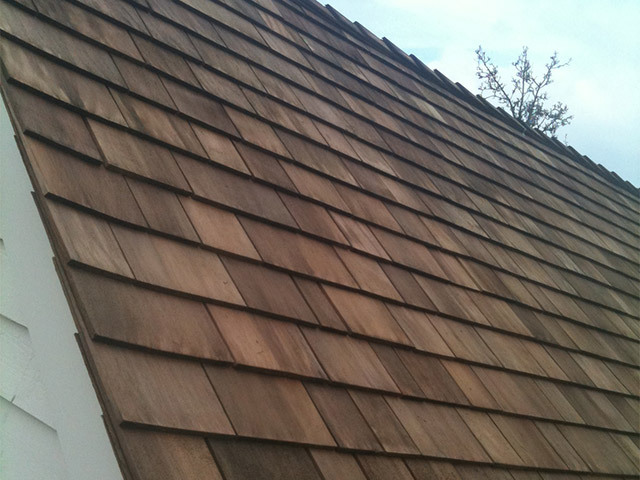 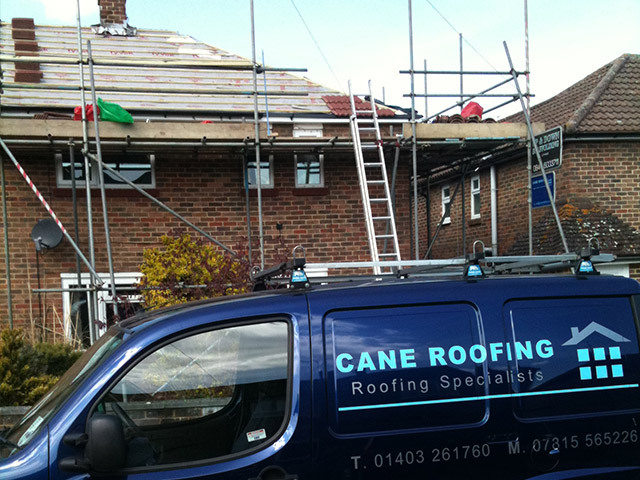 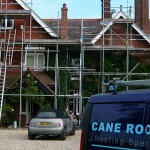 This roof carries a 30 year guarantee.